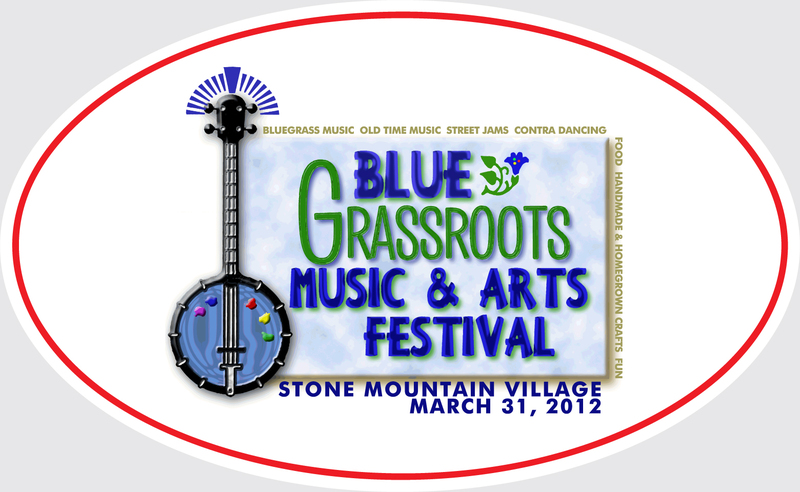 The Atlanta Foundation for Public Spaces and Main Street Stone Mountain will co-host a bluegrass music and arts festival in historic Stone Mountain Village on Saturday, March 31, 2012. This one day festival includes southern Bluegrass musicians on stage, street jams, Contra dancing as well as an arts & crafts show for up to 150 self-taught artists and artisans. There will also be local food and beverages and a children’s area. The event is held on Main Street in historic Stone Mountain Village, just a 15 minute drive from Atlanta. This event is co-hosted by AFFPS and is organized by artists for artists. Times: Sat., March 31 from 10:00 a.m. – 7:00 p.m. This event will showcase approximately 150 artists and artisans plus over a dozen bluegrass musicians. The festival is organized and run by artist volunteers who understand the needs and challenges of artists and how best to connect with consumers during this difficult economy. The event is co-hosted by the Atlanta Foundation for Public Spaces and Main Street Stone Mountain. AFFPS operates outdoor art and handcraft events in the metro Atlanta area. Festivals by AFFPS are staffed by volunteer artists to ensure the quality and production of each event is held to the highest standards.